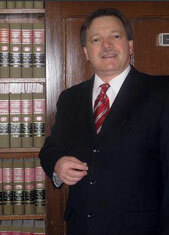 Direct liability (i.e., negligent training, negligent hiring, negligent supervision, etc.). Recently, the Indiana Supreme Court ruled that plaintiffs in these cases may move forward with one of the two legal theories – but not both. This Indiana car accident case, according to court records, involves the alleged negligence of a pizza delivery driver that resulted in a fatal crash that killed a man on a scooter. It occurred in August 2012 while the defendant driver, while working for a franchise of a national pizza chain, was operating her own vehicle when she struck the back of a scooter operated by the decedent. The rider was tossed off the scooter and onto the road, where he was run over by another motorist. His injuries proved fatal. The decedent’s estate filed an Indiana wrongful death lawsuit against the pizza delivery driver, the driver who ran over him, and the pizza franchise company. As far as the claims against the pizza franchise, the plaintiff alleged negligence under the doctrine of respondeat superior (Latin for, “let the master answer”) and also direct negligence for negligent hiring, negligent training, and negligent supervision. Vicarious liability does not require proof of direct negligence by the employer, only that the employee – acting in the course and scope of employment – was negligent. The franchise filed a motion for partial summary judgment, arguing that since it had already conceded the driver was acting in the course and scope of employment, the chain could only be held vicariously liable under the doctrine of respondeat superior. The trial court agreed, granting that motion and dismissing the plaintiff’s claims of negligent hiring, training, and supervision. The estate appealed, and the Indiana Court of Appeals reversed and remanded. The appellate court ruled the estate could pursue both theories of recovery because they are separate torts not derivative of an employee’s negligence. The court also found this ruling to be consistent with Indiana’s Comparative Fault Act. However, the Indiana Supreme Court has now vacated the appellate court ruling, reinstating the ruling of the trial court and affirming the 1974 appellate court ruling in Tindall v. Enderle on this issue. In the Tindall case, a bar employee shot and killed a patron, and the estate of the patron filed a negligence action against the tavern, alleging negligent hiring and retention. Prior to trial, the defendant bar stipulated the worker was acting in the course and scope of employment at the time of the shooting and sought to exclude evidence of the employee’s prior assaults on other patrons. (The estate had intended to use this as evidence of negligent hiring and retention.) The trial court granted the tavern’s motion, effectively killing the negligent hiring and retention claim. The court of appeals decided that allowing both claims was undue because each is derived from the negligence of the employee, so it’s wholly unnecessary to a plaintiff’s recovery of damages to allow both. The pizza franchise in this case argued the Tindall case is well settled, and absent any special circumstance, claims of respondeat superior and negligent hiring are duplicative. The state supreme court agreed.